For a creative escape or inspiration for the next big project, a trip to the museum is always a good idea. Just a short walk from Minto Yorkville Park are two of the city’s most iconic museums. Grab your imagination, and get going for a visit back in time. Imagine how great it is to have one of the largest museums in North America in your neighbourhood. 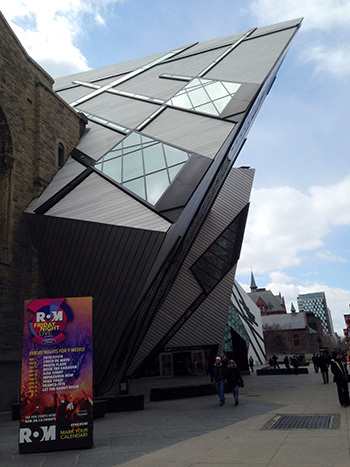 The ROM (100 Queen’s Park) features world-famous history and culture with galleries and exhibitions to enlighten the novice, to the knowledgeable historian. Want to roar with the dinosaurs? Visit the infamous James and Louise Temerty Galleries of the Age of Dinosaurs for a trip back to prehistoric times. The larger than life models will make anyone feel like tomorrow’s lunch. Stroll to the Gallery of Greece, or the Gallery of Korea to see artifacts from all over the world. Afterwards, head to Druxy’s ROM café for a bite, and chat about the marvels of the day. For little ones, the ROM features camps where kids can explore the great wide world, and learn about art and history while giving parents a break. For the hip crowd, there is ROM Friday Night Live, where the museum becomes a dance club, with food, drinks, and DJs. Be sure to check the calendar for the next one! Calling all stylish sole searchers! 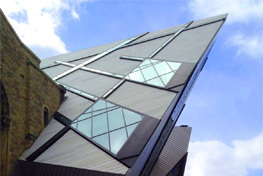 The Bata Shoe Museum (327 Bloor Street West) is North America’s shoe museum, celebrating over 4,500 years of shoe history. From ancient Egyptian sandals to traditional wooden clogs from The Netherlands, roam the gallery rooms and browse over 1,000 shapes and styles. Learn about the process of shoemaking, and hit the gift shop for a coffee table book for your Minto Yorkville Park condo. When complete, Bloor St. West has a variety of shoe shops, from Davids Footwear (66 Bloor St. West) or Holt Renfrew (50 Bloor St. West) to indulge our shoe fetish, and fill our closets. For the design enthusiast, there is the Gardiner Museum (111 Queen's Park) also known as the national ceramics museum with exhibitions featuring one-of-a-kind ceramics. For those who want more than a museum stroll, it offers Clay Classes for adults and kids with professional ceramists. You can create your very own piece and proudly display it in your new condo as a special tribute to the neighbourhood.